Whether its rabbits, chicks or eggs that take your fancy this cupcake decorating session will be full of fun, festivities and be an absolute eggstravaganza! 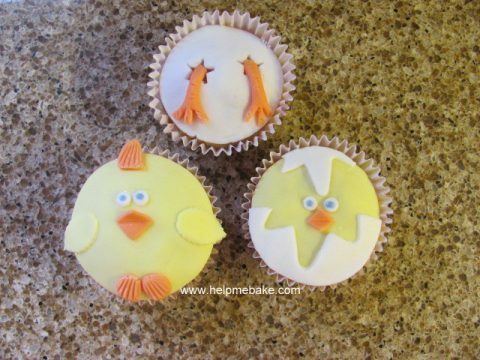 If you wish to decorate your Easter cupcakes with fondant / icing instead of using buttercream then try your hand at these cheeky chicks. We will be teaching all you need to know on how to recreate them so all you need is circle cutters, white ready rolled icing, some concentrated food dye and writing icing, then leave the rest up to us! Icing sugar for dusting and jam for sticking.